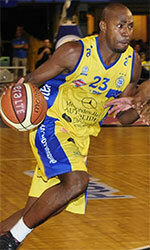 Universitarios clinched LPB title. They overcame Correcaminos in the title clash on Sunday. Worth to mention a great performance of guard Geno Luzcando (190-95, college: Idaho St.) who helped to win the game recording 12 points and 7 rebounds. 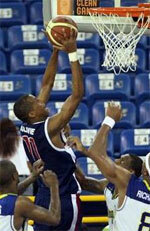 American center Christophe Massie (206-77, college: Memphis) contributed with 7 points and 12 rebounds for the winners. Four Halcones players scored in double figures. Center Jaime Lloreda (204-80, college: LSU) answered with a double-double by scoring 10 points and 20 rebounds and the former international point guard Trevor Gaskins (188-89, college: Louisiana Tech, agency: Pro Sports) added 19 points and 5 assists in the effort for Correcaminos.